Around the summer of 2016, I started my journey with eliminating meat from my diet. I knew one that I would “go vegan” I just didn’t know how soon it would happen for me. First, I eliminated beef by eating more ground turkey. Next, I cut pork and started eating more chicken. By the end of that year I had cut chicken and turkey. I was eating more fish. I was now a full blown pescatarian, if you must give it a name. Pescatarians abstain from eating any meat with the exception of fish. With this new diet, I had been seeing major changes. I was confident that soon I would be done with fish too to see more of a transformation. In February 2017 when I went back to Louisiana, I went backwards with my eating habits. I started back eating the fried chicken that I once loved so much. I noticed that my mind, body, and spirit didn’t respond so well to me adding chicken back into my diet. When August rolled around I was pregnant with Legend and started experiencing nausea and “pregnancy sickness”. I did not get sick while carrying Jarvis Jr. so this was foreign to me. Other women shared with me that being sick while pregnant was normal. Well it was not normal for me, if I am not in a state of optimal health you can rest assured that I am getting to the root cause of the sickness. Maybe its the healer in me knowing that the body can heal itself or the perfectionist in me that doesn’t stop until I get answers or solutions. Either way I am glad that I took my health into my own hands and did not settle for the idea that being sick during pregnancy is completely normal. I was in search of answers and soon stumbled across a blog about consciousness and spirituality. I wish I had bookmarked it but I didn’t. Anyway I found a post that said being sick during pregnancy wasn’t normal although it was common. This resonated with me so I continued to read. 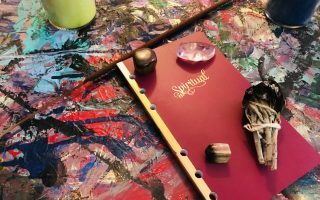 The blog further discussed that when we get sick during pregnancy something we are doing is out of harmony with the baby that we are carrying and that we should listen to our intuitive wisdom on what to change to better align our energy with this new life. I saw the comments that ripped this woman to shreds asking how dare she suggest that the mom is the cause of being sick. On the other hand me being a firm believer of taking accountability for my actions, found peace in reading this. 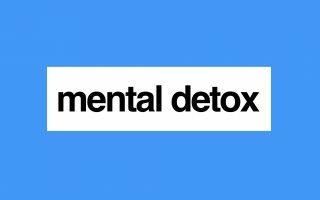 I was determined to learn what I needed to do to restore my health and be my best for my unborn child. I meditated and prayed. I asked God to give me the answers and wisdom to make the right decisions. I asked my baby, “Please help me make the changes that I need to be better for both of us. What can I do to make your transition into this realm more smooth? What can I do to bring my being into harmony with you, my baby.” I prayed these prayers with sincerity and faith that the answers would come to me in a way that I would understand without question. Two days later I was stuck in the bed because I was sick again and the “What the Health” Documentary on Netflix caught my eye. I pulled out a notebook and pressed play. My answers had arrived. This documentary detailed the adverse effects meat and dairy have on our health. I felt this calm come over me as I watched. I knew exactly what I needed to do. I could not delay completing my transition to a meat and dairy free diet any longer. I decided to choose me and I decided to choose my baby over the temporary pleasures of just eating whatever I wanted to out of convenience or familiarity. I’m still grateful to this day that Legend came along and shook up my world in the best way of course. This is what happened when I stopped eating meat. I had always associated getting sleepy after a meal with “eating good” or as we call it where I’m from, the “itis”. I would get the itis most often after big Sunday dinners, holidays, cookouts, or when I just decided to throw down in the kitchen, which was at least 3-4 times a week. Boy was I wrong! !Feeling tired and drained after eating is a good indicator that the body is working over time to digest the food. Now that I consume mainly a plant based diet, I have a boost of energy after every meal. Because I have more energy after eating now, I am more productive. Whereas I use to need a nap after most meals, now it is common for me to clean the house after eating or do something else that requires energy. I had no idea how much time I wasted taking naps throughout the day before. With my responsibilities continuing to increase, this is something I appreciate more and more everyday. I have more to give to myself, my family, and my business. Now I have at least one bowel movement a day. Not to put you in my business, well you already are since you stopped by the blog, but I did not do the number 2 every day. I would skip a day and sometimes two. I thought that was just my version of regular. When I did go, it was a struggle. Now I see that my digestive system wasn’t functioning properly. I first became aware of this during my pregnancy with Jr. I went to the emergency room for abdomen pain. Would you believe after running tests and ultrasounds that the problem was that I was constipated? I was prescribed a stool softener pill that I had to take once a day. If you know me, you know that I’ve hated taking medicine since I was a kid. I’ll try any remedy before I take medicine or just thug it out through the pain. I went ahead and took this pill because I didn’t want to feel that pain again and have another hospital scare. I put my trust into a pill instead of seeking out how my body could heal itself. Hindsight is 20/20. After switching my diet, I did not have this issue during my pregnancy with Legend. I became regular without medication and I still am today. I was diagnosed with gestational diabetes during my pregnancy with Jr. Yep, another pill. I was told that since diabetes ran on both sides of my family that I would get it every pregnancy and that I should watch out after pregnancy because I was at higher risk for the diagnosis to become a part of my every day life. I could not accept this. What the Health discussed how patients that switched to a plant based diet for 2-4 weeks were able to get off of their diabetic medication. I knew in this moment that I would be heathy by the time I had my appointment for my gestational diabetes testing and that my results would come back negative. I was right! No diagnosis this time and no medication! I was not even close to having gestational diabetes this time and since then there have been no alarming flags for issues with my blood sugar levels. Every time I went to the doctor carrying Legend the scale said that I lost weight. The doctor was not alarmed because baby was healthy and so was I. By the time I was getting ready to deliver, my end of pregnancy weight was less than my pre pregnancy weight. I had shed all of the excess pounds that I had packed on over the years. I felt great and I also felt strong. After delivering I lost more weight and this year has been my best year of health. After I got past the first few days of headaches from my body adjusting to not having meat, it’s like the fog clouding my brain just went away. I could think more clearly. My mind didn’t feel “fuzzy” anymore. It’s a feeling that I still to this day can’t fully explain. Managing anxiety is easier for me now too. I got more in tune with my spiritual gifts, I strengthened my connection, with the Creator, and I have more of an understanding of who I am as a spiritual being. My intuition is stronger too. One of my initial fears was, “what am I going to eat now?” I made an adjustment and tried to see this as a journey in finding new ways to eat instead of a challenge. My journey started off rocky, I mainly just ate rice and beans for protein and fruit. Soon I ventured out and started trying new vegetables that I had never heard of or tasted before. I was definitely the adult that “didn’t eat vegetables” at first. Now I eat any vegetable that I can find. Plants give us everything that we need to live a healthy life. It’s amazing that the Creator has given us a wide variety of fruits and vegetables full of various colors, shapes, vitamins, and minerals to sustain us. Everyday in the kitchen for me now is a chance to create something new. I have my go to foods but I do love the excitement now in trying something new. This process has taught me patience. Whereas I use to be able to microwave something quick or just run to a drive thru, now I have to stop and think of what I am going to eat. It does take less time to prepare vegetables and fruit for meals than it did when I cooked meat, but still every meal for me now takes time and thought. This helps me be more intentional in what I put into my body. Also I have to prepare separate meals for my husband and oldest son because we don’t follow the same diet. I’ve gained more empathy for understanding their needs and desires. I’ve also gained more empathy for animals and all life on this planet. I’m not one to attend a “save the animals rally” at least not yet but I do understand that their lives are also valuable too. I’m here to debunk the myth that eating healthier is more expensive. It can be if you want to buy expensive organic meats, the artificial meat alternatives, and all of the dairy and meat replacement options. Simply buying rice, beans, oats, breads, fruits, and vegetables however has saved me a ton of money. It has helped me be more simplistic in my approach to life too. At first I thought I needed everything the health food stores sold to be healthy when in reality God has given us all we need right here in nature. One day I will have a garden and I’ll be able to save even more money by growing my own food. All in all this journey with health and wellness has brought me healing, increased self-awareness, and more into alignment with my Higher Self. It’s not just a diet for me but it’s a lifestyle. 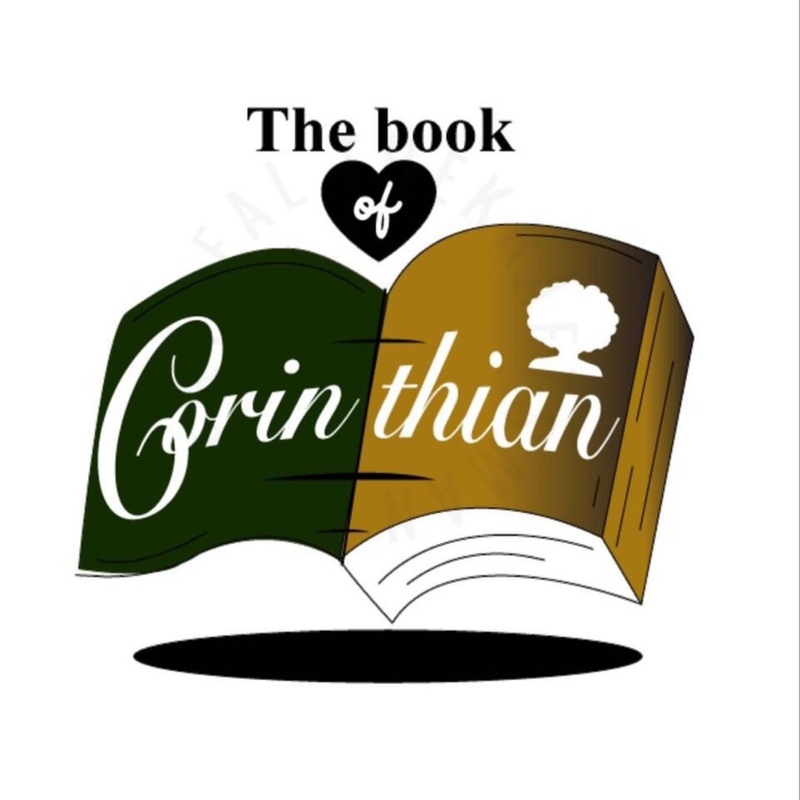 Please leave a comment if this blog post interested you in or email me at bookofcorinthian@gmail.com. Stay tuned, I’ll be sharing what happened when I stopped eating dairy later this month.